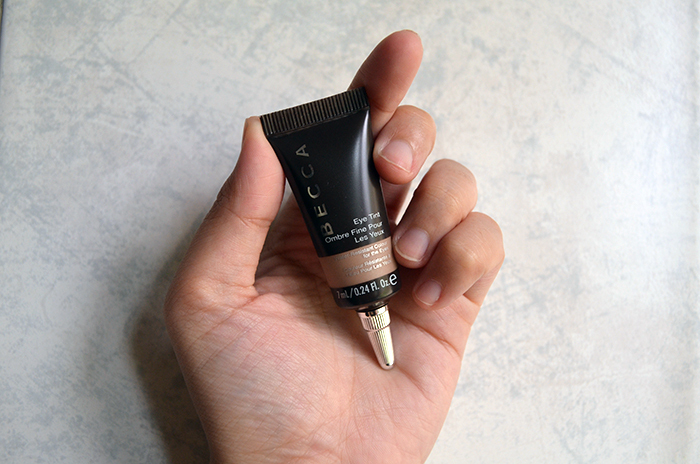 Ever since trying out the BECCA Beach Tint and liking it, I’ve wanted to try out their eye counterpart—the eye tint. I haven’t gotten my hands on any of them, until now. The BECCA Eye Tint “offers adjustable levels of sheer to high pigment color when applied with a brush or finger.” Basically, it’s just a “semi-sheer créme that tints lids with a soft wash of colour.” Judging from my skin tone, I probably should have known that Baroque would be too light for me. 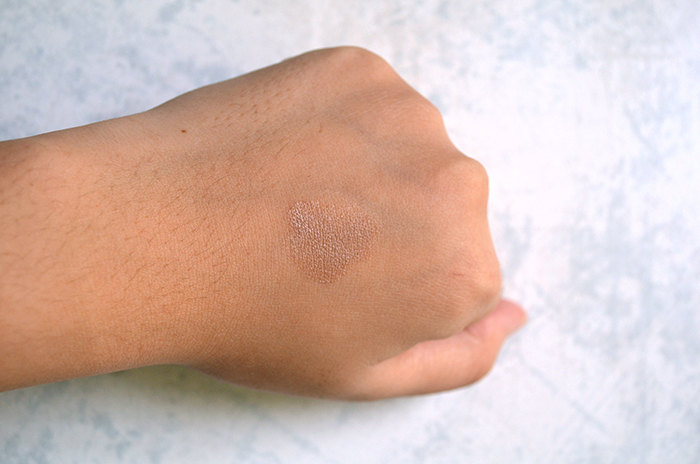 Here’s a fairly heavy swatch that I tried really hard to make opaque. I barely blended it out, but I think you can see the color? It’s a cool-toned greige, in my eyes. Look at how much it doesn’t show up, though. I feel like I’m those evil people who sold the emperor his new clothes. Seriously, this is the pigmentation after many layers of Baroque (Baroque? More like b-roke! Boo, I’m not funny.). Barely any color. I guess a great eye product for a “no makeup makeup look,” but honestly, why bother? With a darker color in the crease, you can see Baroque better, but I mean—of course you would. 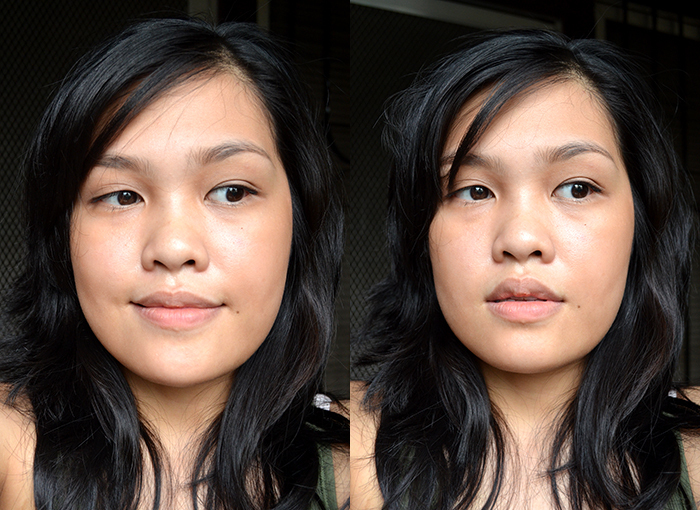 The thing is, it’s not even totally crease-resistant either, so it’s not like I can use it as a primer. I feel like it would fare well as a base over primer and under shadow, but I feel like it defeats the purpose of the product since I find BECCA a great brand for fuss-free, natural-looking makeup that’s easy to use. If it’s a part two of a three-step application process, then I don’t think it’s doing its job very well. If I got a deeper shade, I’m sure I’d enjoy it. As it is, I don’t think Baroque has convinced me of the merits of an Eye Tint. Lol at the Emperor reference. Boroque dosnt rally stand out on me either, but it does achieve that ‘no makeup look’ I’m fond of. There is some thing about it that makes my eyes dazzle. Aw, that’s swell. 🙂 I did what Larie said in the comments, and it works better (for me) with a powder shadow over it! Thank you! I think it’s pretty, too. Just wish it showed up on me just a liiiittle bit more. That’s ashame, I hate when products look so promising and don’t deliver results. Seems to happen to me all too often. Looks pretty as a swatch though. P.S. 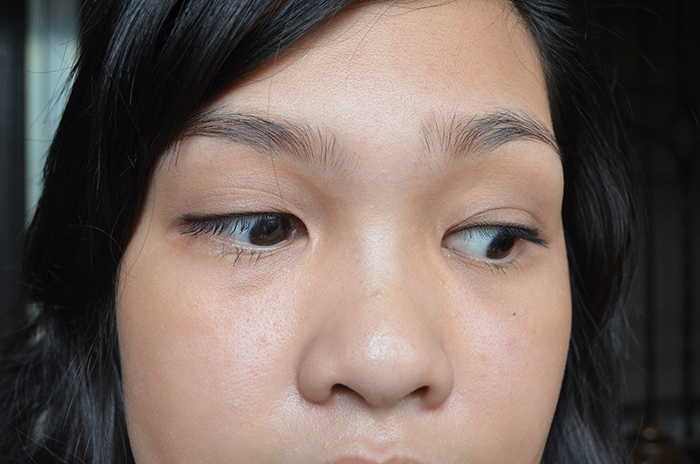 I’ve always known my eyes were different, one eye’s lashes curl more than the other but this really became evident when I was doing a cat eye and my left eye looked normal while my right eyelid looked like it completely disappeared! 😦 I’m in the same weird eyelid/eye liner boat! Too true! I mean, it’s alright, but it’s not what I thought it would be. I have Vicuna, which is pretty pale, as well, and barely looks like anything. It creases alone, but if I layer powder shadows on it, everything stays put, and it’s a nice alternative to primer, as it kind of softens everything up. With that said, I don’t think I’d purchase another! Ah, you’re right! 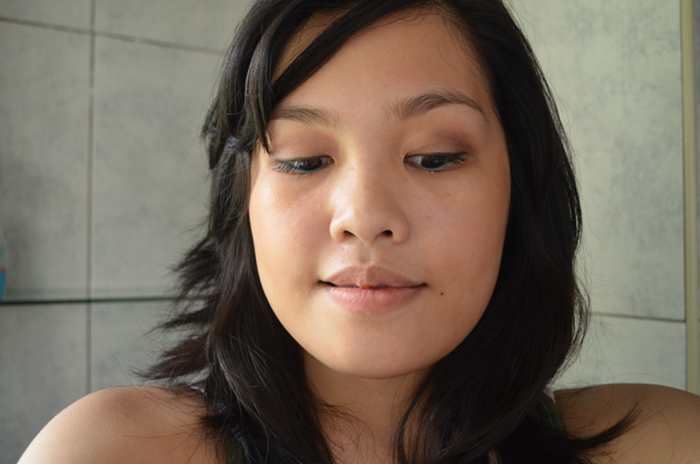 I applied the taupe-y part of NARS Grand Palais, and it was gorgeous.